Comfortable beds. Great shower. Wonderful sightseeing. Clean rooms. 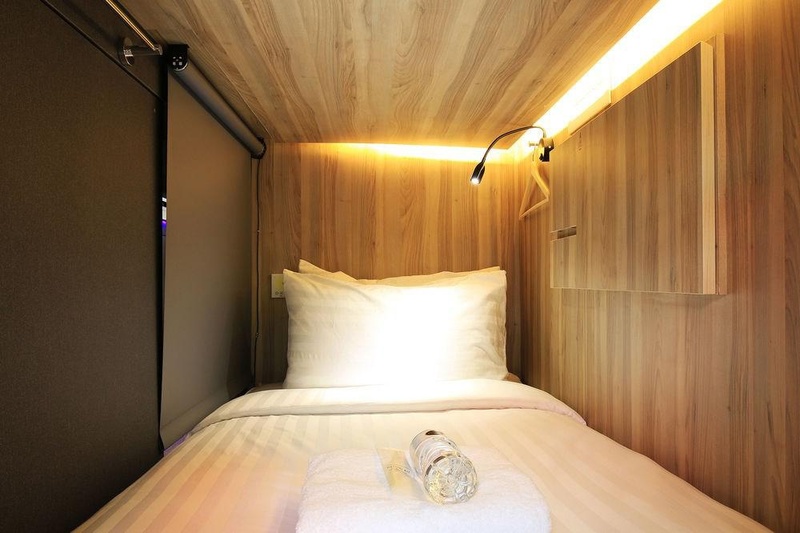 Property Location With a stay at CUBE Boutique Capsule Hotel @ Chinatown in Singapore (Chinatown), you'll be within a 5-minute walk of Chinatown Heritage Center and Singapore River. This hostel is 0.5 mi (0.8 km) from Clarke Quay Central and 0.7 mi (1 km) from Clarke Quay Mall.Rooms Make yourself at home in one of the 18 air-conditioned rooms featuring microwaves. Complimentary wireless Internet access is available to keep you connected. Bathrooms feature showers, complimentary toiletries, and hair dryers. Conveniences include safes and desks, and housekeeping is provided daily.Amenities Make use of convenient amenities, which include complimentary wireless Internet access and concierge services.Dining Quench your thirst with your favorite drink at the bar/lounge. A complimentary continental breakfast is served daily from 7:30 AM to 10:30 AM.Business, Other Amenities Featured amenities include a computer station, complimentary newspapers in the lobby, and a 24-hour front desk. Location: Brilliant. Excellent location close to metro. Location is amazing. Excellent for traveling with friends. Close to Chinatown. Awesome rooms and service in a great location. Awesome vibe. Free wi-fi. Fast Wi-Fi. Free wifi. Nicely decorated common area. Budget friendly. Modern atmosphere. Fantastic staff. Great staffs. Excellent service. Everything was clean. Clean shared toilet. Clean linen. Premium queen room. Aircon worked fine. Fantastic beds. Aircon worked fine. Fantastic beds. Queen size bed. Good variety for the breakfast. Delicious breakfast. Yummy breakfast. Excellent facilities. Modern interior. No lounge area.